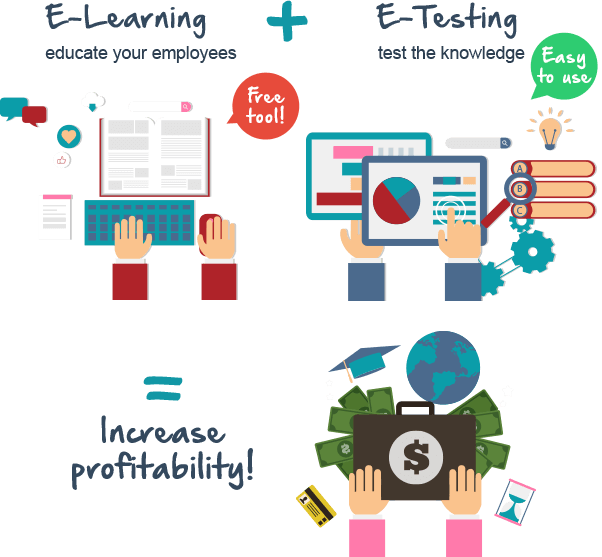 See what benefits our eLearning platform brings to you! Your e-Learning platform will be created with the unique name of your choice, eg. Mycompany.Training-Online.eu or Myplatform.Mydomain.tld, allowing your users to access to "Your personal company system"
there is no need to pay monthly fixed fees when using your FREE LMS platform. FREE eLearning plan is available. Read more in pricing. On top of that, we give you a free credit of $30 for testing purposes. Start your own online e-Learning marketplace! 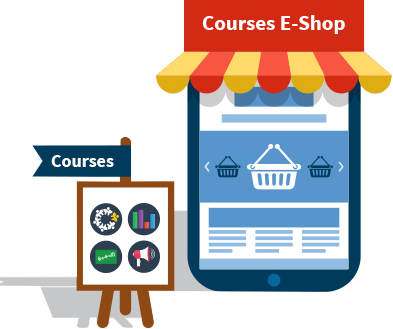 Open an e-shop and let everybody on the Internet see the courses you offer. Use the opportunity to make an extra profit just by a few clicks! 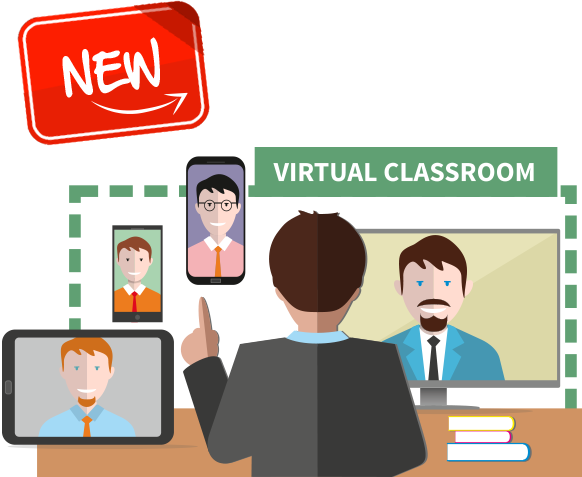 Now you can have Your own Virtual Classroom platform and make webinars for your students or employees. Read more about all lessons types and create rich training content. all data uploaded to your LMS platform is fully secured and only authorized users have access to the e-Learning Management System. The internet communication and user access is secured by SSL protocol. our e-Learning platform is supported by video tutorials and there is a support forum available as well. Example course helps you to design your first course. Do you have a list of your users in an MS Excel file? Import the file and each of them will receive all access details to your e-Learning platform in an email notification. That's all you have to do! You create all the e-Learning content in the internal LMS course editors. Your educational content is easily uploaded in a pdf or in video format. All standard formats like Word and Powerpoint may be easily converted to a pdf. Did you get an eBook? Simply upload it as a pdf and create the PDF Lesson out of it. Training-Online.eu allows you to upload SCORM 1.2 course packages. SkillGaps help you to identify where your students' knowledge gaps are and to focus on those areas. This way, your online learning will be more effective since the first day. Make Surveys fast and easy - get feedback from your employees, customers or partners and use it to increase your profit! Internal announcements and policies may be distributed with the same tool. Take the advantage of having full acceptance and all completion records in one Report. Use the Test editor to create complex question sets and let the students prove their knowledge. The e-Testing part is important to make sure that your students have achieved the desired level of knowledge. If you have any doubts, we are more than happy to help you create your e-Learning content. What e-Learning content works the best for you? ...it’s the best way to educate and improve their knowledge. Once the course is ready, assign the content to selected users easily either by selecting their name or group. Users may use the course catalog self service feature and self enroll the courses at the time they need it which is helping them manage their self paced learning programs better. The LMS platform automatically sends the notification email with all the course information such as teacher information, course name or due dates to the corresponding users. You don't need to keep an eye on that, they are informed automatically. The users may start their online learning. It´s that simple and fast. The system sends e-mail alerts to your users to remind them of due dates, requirements and new content. This ensures a higher course completion rate and gives the teacher of the course a powerful tool to make pressure to the students. You may create all the messages content suitable to your purpose. You may create as many notifications as you like, there is no limitation. You may adjust all the messages to your purpose. Use direct course links to make the user's access easier and increase the course completion level. We are happy to give you 30USD of FREE credit to see if this platform for online learning works for you. Training-online.eu’s graphic user interface is so simple and your ability to customize your pages allows you to create an e-Learning platform that is unique and meets all your needs. 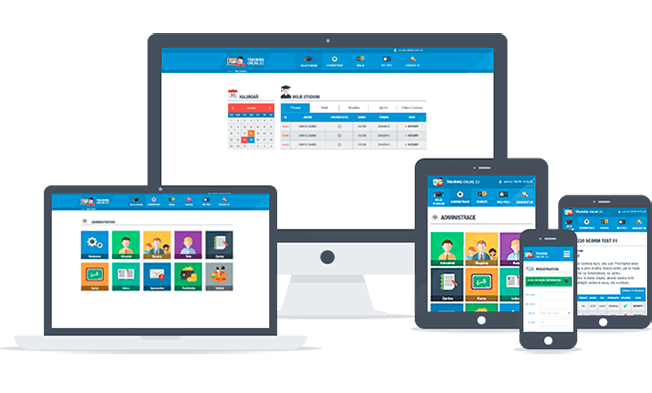 The simplicity of your e-Learning software also allows your users to use the LMS platform immediately which enhances their training experience and makes it more likely for them to come back for another course. Set an unique sub domain name (mycompany.training-online.eu). Set your own domain name if you have one (mycompany.mydomain.com). Add your company logo and slogan. Align the LMS system colors and integrate it to your webpage, so that it will seem as if it was a part of your website or intranet. Additional language varieties are available, each user may set his own language. Icon graphic user interface facilitates user navigation as each user goes to My Study page directly. The administration is easy, you don't have to be an IT freak to manage the system. The Administration module gives you full control over all course educational content and how it is used. System roles helps you to distribute the management tasks and responsibilities to the corresponding departments or group leaders. Forum and Video tutorials are available for user support and a quick orientation in the e-Learning Management System. 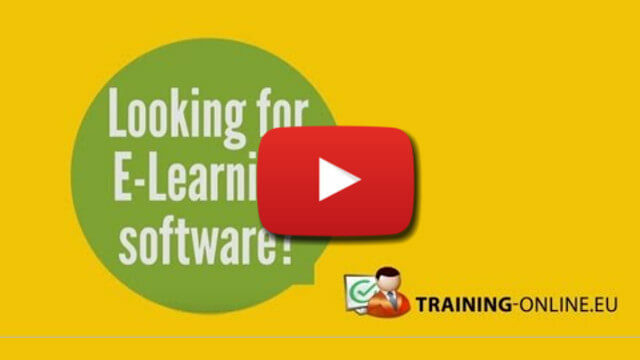 Register FREE and see the easy administration of your e-Learning platform Training-Online.eu.